The future of the Grand Prix of America is in doubt again, according to Formula 1 boss Bernie Ecclestone. "The organisers have not complied with the terms and conditions of the contract," said Ecclestone on Tuesday. In April, Ecclestone first questioned whether the New York track would be ready for the race, which is due to take place in June 2013. The Grand Prix has been included on the provisional race list for 2013 and the calendar will be finalised on Friday. The race will take place on public roads along the Hudson River in New York. In June, Ecclestone told BBC Sport the race would "definitely" not happen, before saying that it would if the track were ready in time. He added: "We'll have to see - I need to go and have another look. What I've seen up to now, and what's been going on, I'm not quite as sure as they are. "If they can get it completed and confirm to us it will be done for sure, they'll be on the calendar." But the chief executive of the race, Leo Hindery, said there were no doubts about the Grand Prix taking place. "I don't know where these rumours are coming from, but this race is going forward," he said. 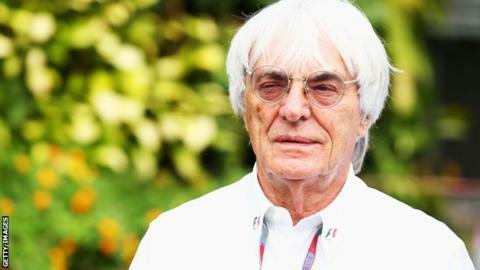 Speaking to the Guardian on Tuesday, Ecclestone added: "We are pretty close to the final deadline. We have a world council meeting coming up. "I think if somebody got behind them it could happen in 2013 because they have come a long way with the circuit."